Blockchain has been receiving considerable attention from the financial media in recent years, with global figures such as Richard Branson, Bill Gates and Marc Andreessen counted as its admirers and betting their money on its success. While most people identify blockchain as the foundation behind bitcoin, there’s more to the technology than just digital currency. Blockchain is leading the global economic shift towards distributed property and trust based relationships. Essentially, blockchain provides an open decentralized database of every transaction involving value – money, property, work. goods, even votes. As if to support blockchain’s triumph, the World Economic Forum estimates that by 2027 about 10% of global GDP would be stored on blockchains. Startups are eyeing the nascent industry for opportunities to develop solutions using public or private blockchains – public blockchains (such as BitCoin) develop consumer-centric applications that eliminate third-parties from a transaction, while private blockchains are used for internal business use. Disruptive entrepreneurs are already leveraging the technology to build applications that are smarter, faster, and innovative, and can potentially revolutionize how we work, shop, share and govern. Their aim is simple – first mover advantage. Capture market share by being the first to develop a platform that effectively solves a sticky business problem or creates new ways of working. Here are five of the hottest startups in the blockchain space that are working on fantastic ideas that we might be using very soon. Everledger – The London-based startup specializes in diamond certification using blockchain technology to track the supply chain of precious stones sold in the retail sector. CEO Leanne Kemp aims to reduce diamond theft and fraud by developing a tamper-proof digital ledger to replace forgeable paper records. The startup’s algorithm records the chronology of a diamond’s ownership and can incorporate integrity markers that validate a stone’s authenticity – which can be used by buyers for verification prior to purchase. In 2015, Everledger had a three-month stint at Barclays Accelerator, and won the BBVA’s European Startup Contest. MasterCard has selected the startup for its 2016 Startpath Global Program where Everledger will receive assistance to scale its operations and explore new markets. 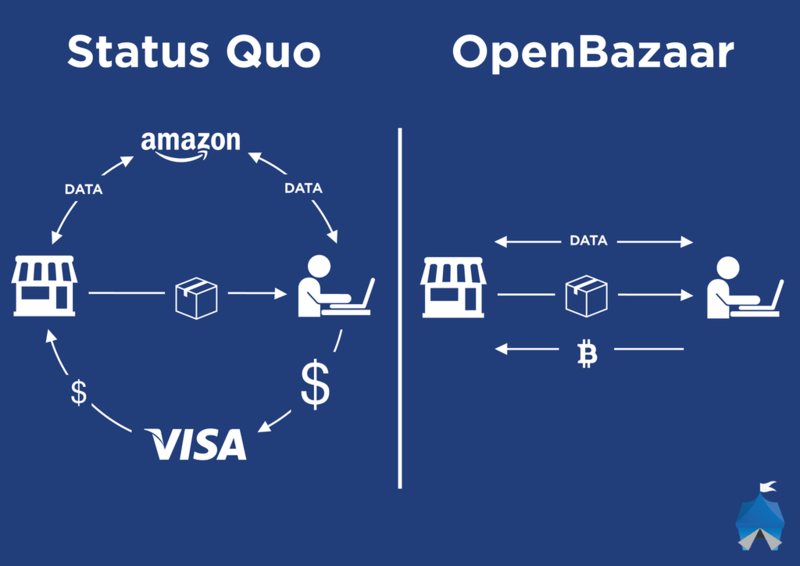 OpenBazaar – In less than a year of operations, OpenBazaar and its development firm collected “Best New Startup”, “Bitcoin Champion of the Year”, and “Most Promising Consumer Application” awards at Coinbase’s annual Blockchain Awards. As its name suggests, the startup is a peer-to-peer (P2) e-commerce marketplace that aims to upstage established players such as Amazon and Ebay by offering direct payment services without third-party involvement such as Paypal and their associated restrictions and charges. The platform uses bitcoin for transactions and ensures privacy as buyers and sellers only reveal information they choose to. The venture counts Silicon Valley giant Marc Andreessen as its investor, who along with Union Square Ventures and William Mougayar pumped USD$1 million into the decentralized marketplace in 2015. Enigma – Three MIT entrepreneurs are answering the pressing issue of using consumer data for advertising and research while maintaining user privacy. The startup, aptly named Enigma, divides data into pieces and distributes those pieces randomly across multiple servers which run independent of each other. So while the information each server carries can be used for research by businesses or other institutions, it can never be enough to identify the original user. The implications are profound – people can sell rights to use their own encrypted data and develop a revenue stream without having to worry about privacy concerns. Companies can have access to consumer data relevant to their business without compromising user identity. The software leverages blockchain by enabling users to allow access to their data by other users for specific purposes. The software is still in beta mode and its initial applications include use in governments, finance and healthcare. Colony – The startup aspires to “make it easy for people all over the world to build companies together online” by providing a decentralized platform where workers can contribute to a company, or colony, by completing projects and receive tokens (equity) in return. The more tokens a worker holds, the greater the share of the “colony” the worker owns. The platform enables people to gain and increase their stakes in startups and companies by simply working for them, much like angel investors increase their shareholding by injecting money into a venture. Traditional managers who set, divide, and assess tasks are replaced by an AI system that self organizes teams by aggregating the collective intelligence of the workforce. Colony is already integrated with GitHub and Slack and plans to add Trello, Dropbox and Zendesk to the list. slock.it – Picture a car parked in a street waiting for its next customer to arrive, unlock it using an app, rent it by the hour, and pay for it through a blockchain. 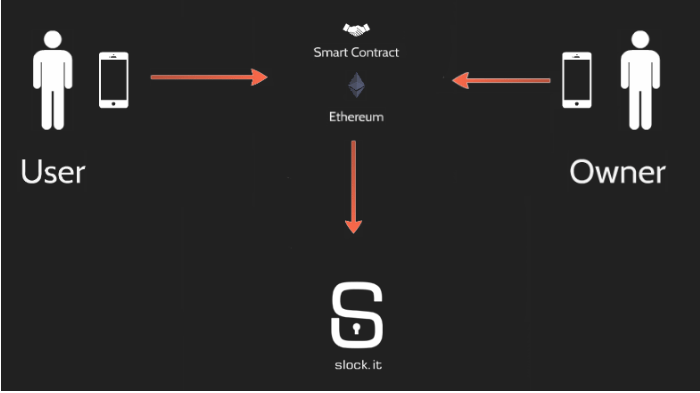 Slock is one of the most disruptive projects in the blockchain universe and might already be giving sleepless nights to earlier disruptors Uber and AirBnB. The German startup sells smart locks (slocks) linked to the Ethereum blockchain, empowering users to put their assets such as a house, car, or storage units up for rent, sale or sharing. Slock owners can set a deposit and rental value to their property and only users who pay the deposit amount through the Ethereum blockchain can get access to the property by receiving permission to unlock the slock through their smart phone. The deposit is locked in the blockchain until the renter decides to return the virtual key through another blockchain transaction. In a Slock world, the need for third-party apps like Uber is eliminated as all transactions are conducted directly between parties through the blockchain and users don’t pay hefty transaction fees. Although most of the ventures are still in early stage funding and product development phase, they have garnered media and investor hype by pioneering innovative solutions to problems that have been around for years. Follow them as they push for greater transaction transparency, new revenue channels, fresh ways to collaborate, and stronger security protocols. We’d like to hear your thoughts about blockchain, its implications for global business, and what problems you think can be addressed using the technology.